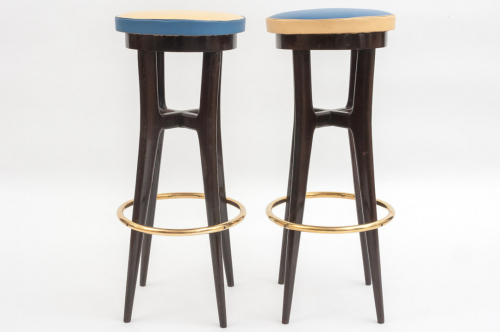 Exceptional pair of Italian stools. Original vinyl upholstery. Excellent condition. The brass foot rests measure 34 cms wide and the seats are 32 cms wide.